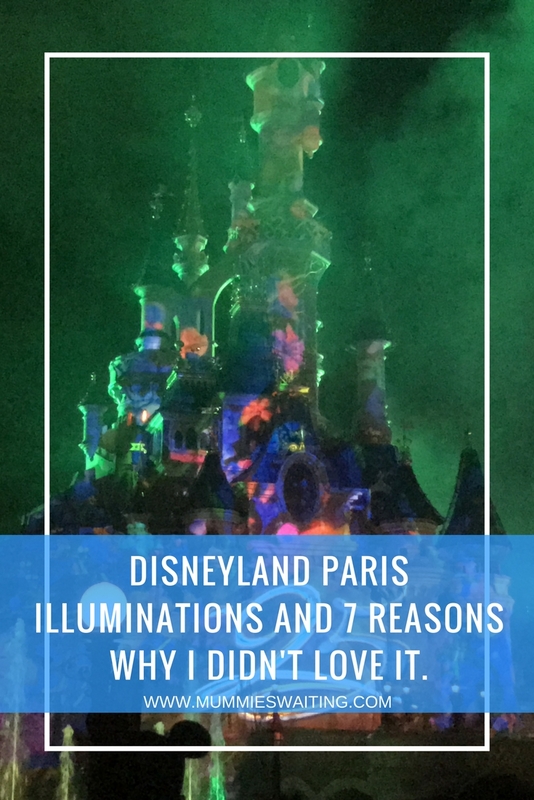 Disneyland Paris Illuminations and 7 reasons why I didn’t love it. After managing to stay clear of all spoilers about Disneyland Paris’ 25th Anniversary and the new show on the castle Illuminations, it’s safe to say I was very excited to see the new show. Dreams was absolutely amazing and I would try to catch it a couple of times every trip we went on. (Even if this meant having a late dinner) so with newer technology available now, I just could n’t wait to see what Illuminations would be like. We managed to get a great spot for Illuminations, close to the front, but not too close and centre too, no tall people in front of us and the girls were asleep which meant we could just relax and enjoy it. Unfortunately, we left the Disneyland Parc that night feeling deflated, it wasn’t anything like I thought it would be and I wanted to really think about and touch on the points why. Embers flying towards us and the crowd, really not so fun! The way they used smoke/dry ice to create new effects that’s is not seen them use before. I hate to be negative about DLP because I love it so much, but positivity all the time gets you nowhere! What did you think of the new show? Let me know below.